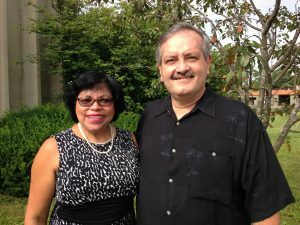 Pastor Jorge Rivera, married to Betsy (Betzaida) Rivera, currently lives in Woodstock, Illinois, and is employed with Unicarriers America in Marengo, Illinois. Pastor Jorge has been Pastor of Zion Harvest Church in Woodstock, Illinois, as well as President of the church’s Leadership Team for the past three years, where he is in the process of training and growing leaders to fulfill ZHC‘s apostolic mission. Pastor Jorge is a graduate of McHenry County College, located in Crystal Lake, Illinois, where he received his A.S. in Manufacturing Management in 2012. Pastor Jorge is an ordained minister under the covering of Apostle Bidal Torrez of Valley Harvest Church in Neenah, Wisconsin, as well as a Bible student at Charis Bible College in Kenosha, Wisconsin. He and Betsy have also participated in several missionary trips to Mexico and Costa Rica. Pastor Jorge and Betsy have three beautiful daughters, including one who is serving her country in the United States Navy. Betzaida Rivera was born in San Juan, Puerto Rico, and is currently living in Woodstock, Illinois, where she and her husband, Pastor Jorge Rivera, pastor Zion Harvest Church. Being the daughter of a career serviceman, who served in the United States Army for twenty-four and one-half years, including deployment in World War II, Korean, as well as the Vietnam War has given Betzaida a diversified traveling experience from adolescence to young adulthood throughout the USA and South America. In search of a new life, Betzaida moved to Chicago from Boston, Massachusetts, where she worked as a Patient Account Specialist for over forty years, servicing various hospitals in Illinois before her retirement from that type of work; however, Betzaida has definitely not retired from the more important Work of the Lord. After receiving Jesus in the 1970’s, she became a part of Maranatha Revival Church in Chicago, Illinois. Detailed training through a Discipleship Program prepared Betzaida for other ministries in the church, such as Deaconship, leader of Home Group Ministry, and Intercessory Prayer Ministry. The Lord also opened doors for her to do missionary trips to Mexico and Puerto Rico, which enhanced her love and compassion for people. Indeed, Betzaida’s passion is to help others by imparting the Love of God the Father, enlightened through the Holy Spirit. Betzaida married Jorge Rivera in 1990, and they have three daughters. She is a committed part of the Leadership Team, Pillar Ministry, Prayer Station, and Intercessory Prayer Group of Zion Harvest Church. Jennifer Robinson Eziagulu, married to Peter Eziagulu, currently lives in Rockford, Illinois, and is an Instructor of English as a Second Language at Rockford University. Jennifer is part of Zion Harvest Church’s (Woodstock, Illinois) Leadership Team and as a Prophetic Intercessor and Watchman, she directs the ministry of Zion Harvest Church’s Prayer Station and Intercessory Prayer group. On occasion, she also preaches and teaches the Word of the Lord during Zion Harvest Church’s worship time. Jennifer is a graduate of Northern Illinois University, where she received her M.S. in Adult and Higher Education (2002). She received her B.A. in English at Indiana University (1992). After receiving her B.A. in English, Jennifer served as a missionary to Thailand (1992-1995), where she first met her husband, Peter, China (1997-2000), with shorter assignments in Malaysia, Singapore, and Laos. Jennifer left the mission field in November, 2000, to return home to care for her elderly mother, who passed away in 2008, as well as to pursue her M. S. in Education Degree and to begin work on her doctorate at Northern Illinois University. Jennifer and Peter have two daughters, two sons, nine grandchildren, and one great grandson. Ed Haines accepted Jesus Christ as his Lord and Savior in 1997. He has been with Zion Harvest Church since it began as Fresh Harvest Church in 2001, and he has served in various leadership capacities since then. Ed is a prophetic intercessor and minister who often receives burdens to pray for people, their situations, and their biblical healing and freedom. He wears several hats in the day-to-day operations of the church, and he serves on its board of directors. Professionally, he is a physicist and program manager and has worked in companies that develop medical imaging, industrial imaging, and cargo scanning systems. Church-related activities take up a lot of his free time, but he also enjoys Bible study, praying, camping, hiking, and reading for information. Beth Haines was brought up in the Presbyterian Church in a very active church family. She was born again in the late 90’s and has been seeking to hear from the Lord and act on His direction. 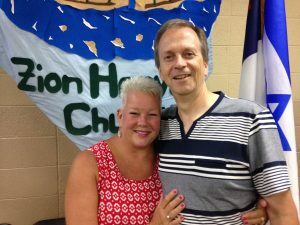 The Haines family left the Presbyterian Church in 2001 and assisted in the start- up of Fresh Harvest Church which became Zion Harvest Church in 2015. Beth is a Pillar with Zion Harvest Church and enjoys fellowshipping, cooking, serving and looking out for others. She loves ministry time with individuals and also moves in the prophetic. God has given her a variety of gifts and she is actively using them for Kingdom advancement. She also assists Pastor Jorge in the responsibilities of running the Church and communicating with others. Professionally, she is a Registered Nurse with a varied background over the past 31 years. 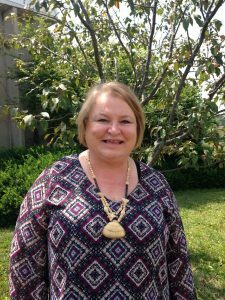 Currently, Beth is the School Nurse in the Elementary District of their home town in Marengo, IL. Together, Ed and Beth have two grown children. Meghan is currently the online manager of an upscale children’s clothing store, Little Luxe, in Naples, FL. Ryan is a full-time Missionary with Street Life Ministries in New York City.